It started with a crash millions of years ago when several land masses collided, forcing the ground upward –– 14,692 feet upward to be exact. The result was what is now known as the Matterhorn, perhaps the most famous mountain peak in Europe. Not the tallest but perhaps the most beautiful and certainly the most recognizable. Straddling Switzerland and Italy, the Matterhorn has a unique pyramid-shaped peak, with four sides that align with the north, south, east and west, and the four cardinal directions. The name Matterhorn means the peak in the meadows, from the German words Matte (meadow) and Horn (peak). What else? The Matterhorn overlooks the Swiss town of Zermatt in the north and the Italian town of Breuil-Cervinia to the south; it’s perhaps the most photographed mountain in the world; and it’s incredibly difficult to climb. 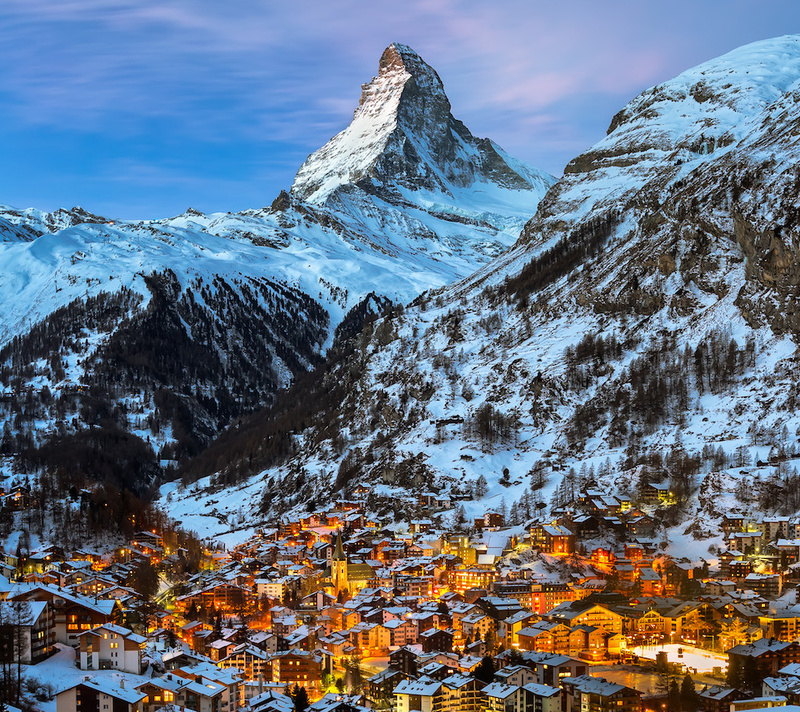 Synonymous with Switzerland, the Matterhorn is the star of the Alps –– even thought it’s actually not entirely Swiss. The Matterhorn is the result of the African plate landing on top of the European plate more than 50 million years ago and geologists have found that the hard gneiss rock on top of the Matterhorn isn’t Swiss at all but rather, African.